Unless you limit yourself to one-page web sites, you’ll need to design navigation. In fact, navigation is among the most important parts of any web design, and requires a great deal of thought if visitors are to move around your site easily. CSS allows you to create attractive navigation that, in reality, is no more than text – text that can be marked up in such a way as to ensure that it’s both accessible and understandable by all those who are unable to physically see your design, but still want to access your content. In this chapter, we’ll look at a variety of solutions for creating CSS-based navigation. Some are suited to implementation on an existing site, to make it load more quickly and boost its accessibility by replacing an old-fashioned, image-based navigation. Others are more suited to incorporation within a pure CSS layout. How do I style a structural list as a navigation menu? Navigation is essentially a list of places to visit on your site, so marking up navigation menus as lists makes sense semantically and we can hook our CSS styles to the list elements themselves. However, we want to avoid our navigation looking like a standard bulleted list as rendered by the browser’s internal style sheet. The navigation in the figure below is marked up as a list and styled using CSS, as you can see here. As the following figure shows, this markup looks fairly ordinary with the browser’s default styles applied. I’ve given navigation a width. If this navigation system were part of a CSS page layout, I’d probably add some positioning information to this ID as well. As the figure below illustrates, the above rule removes list bullets and the indented margin that browsers apply, by default, when displaying a list. Most of the work is done here, creating CSS rules to add left and right borders, removing the underline, and so on. The first property declaration in this rule sets the display property to block. This causes the link to display as a block element, meaning that the whole area of each navigation “button” is active when you move the cursor over it – the same effect you’d see if you used an image for the navigation. Using CSS to build your navigation makes the creation of attractive rollover effects far simpler than it would be if you used images. The CSS rollover is created using the :hover pseudo-class selector – the same selector you’d use to style a hover state for your links. 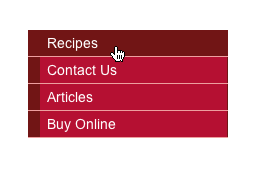 The figure below shows what the menu looks like when the cursor is positioned over the first menu item. The CSS we’ve used to create this effect is very simple. You can create hover states for heavily styled links just as you can for standard links. In this example, I simply changed the background color to make it the same as the left-hand border; however, you could alter the background, text, and border color to create interesting effects for the navigation. In modern browsers, including Internet Explorer 7, you can apply the :hover pseudo-selector to any element you like, but in Internet Explorer 6 and below, you can apply it only to links. Older versions of Internet Explorer allow only the anchor text to be made clickable, because the link fails to expand to fill its container (in this case, the list item). This means that the user is forced to click on the text, rather than the red background, to select the menu item. Of course, you may decide that leaving the links as is and avoiding the hack is an acceptable compromise. 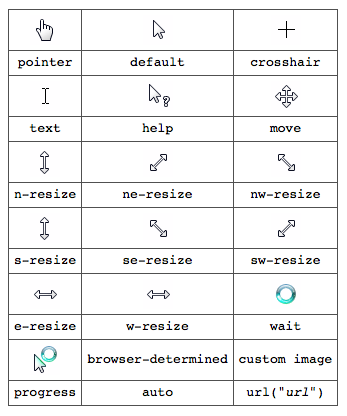 We’ll cover cross-browser techniques in more detail in Chapter 7, Cross-browser Techniques. Can I use CSS and lists to create a navigation system with subnavigation? The examples we’ve seen so far in this chapter have assumed that you only have one navigation level to display. Sometimes, more than one level is necessary – but is it possible to create multi-leveled navigation using styled lists in CSS? 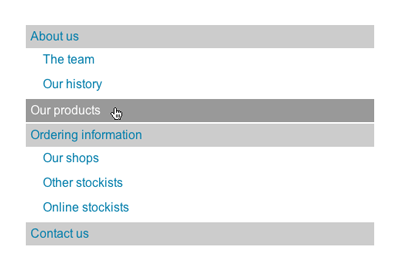 The perfect way to display subnavigation within a navigation system is to create a sublist within a list. The two levels of navigation will be easy to understand when they’re marked up in this way – even in browsers that lack support for CSS. The result of these additions is shown in the figure below. Nested lists are a perfect way to describe the navigation system that we’re working with here. The first list contains the main sections of the site, while the sublist under Recipes shows the subsections within the Recipes category. Even without any CSS styling, the structure of the list is still clear and comprehensible, as you can see in the figure below. With this HTML, and without any changes to the CSS, the menu will display as shown in the figure below on the left, where the li elements inherit the styles of the main menu. This rule will indent the nested list so that it’s in line with the right edge of the border for the main menu, as demonstrated in the following figure on the right. How do I make a horizontal menu using CSS and lists? All the examples we’ve seen in this chapter have dealt with vertical navigation – the kind of navigation that will most likely be found in a column to the left or right of a site’s main content area. However, site navigation is also commonly found as a horizontal menu close to the top of the document. 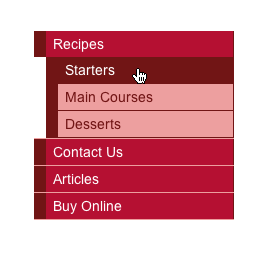 As the figure below shows, this type of menu can be created using styled lists in CSS. The li elements must be set to display inline to avoid that line break between list items. If you’re creating boxes around each link – as I have here – remember that, in order to make more space between the text and the edge of its container, you’ll need to add more left and right padding to the links. To create more space between the navigation items, add left and right margins to the links. How do I create button-like navigation using CSS? This brings up the question: Is it possible to create such button-like navigation systems using only CSS? Absolutely! Creating a button effect like that shown below is possible, and fairly straightforward, using CSS. The effect’s success hinges on your use of the CSS border properties. Try using heavier borders and changing the background images on the links, to create effects that suit your design. How do I create tabbed navigation with CSS? Navigation that appears as tabs across the top of the page is a popular navigation choice. Many sites create tabs using images. However, this can be less accessible and also problematic if your navigation is created using a Content Management System, with users of that system being able to add tabs or change the text in the tabs. However, it’s possible to create a tab effect by combining background images and text styled with CSS. The tabbed navigation shown below can be created by styling a horizontal list. The tabbed navigation approach I’ve used here is a basic version of Douglas Bowman’s Sliding Doors of CSS method, which is a tried and tested technique for creating a tabbed interface. The structure that I’ve given to the navigation menu is the same kind of simple unordered list that we’ve worked with throughout this chapter, except that each list item is assigned a class attribute that describes the link it contains. We’ve also wrapped the entire list in a div with an id of header. The technique takes its name from the two images used to implement it – one overlaps the other, and the images slide apart as the text size increases. 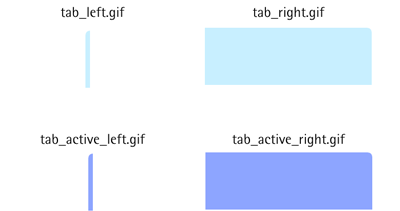 You’ll need four images to create this effect: two to create the regular tab color, and two to use when the tab is the currently selected (highlighted) tab. The images I’ve used in this example are shown below. As you can see, they’re far wider and taller than would generally be necessary for a tab – this provides plenty of space for the tab to grow if the user’s browser is configured to display text at a very large size. As you’ll have noticed, we float the header to the left. We’ll also float the individual list items; floating the container that houses them ensures that they remain contained once they’re floated, and that the border will display below them. This rule removes the bullets and alters the margin and padding on our list – we’ve added two ems of padding to the top of the ul element. The figure below shows the results of our work so far. This rule uses the float property to position the list items horizontally while maintaining the block-level status of each. We then add the first of our sliding door images – the thin left-hand side of the tab – as a background image. A single-pixel right margin on the list item creates a gap between one tab and the next. The figure below shows that the left-hand tab image now appears for each tab. If you increase the text size in the browser, you can see that the tabs neatly increase in size too. In fact, they do so without overlapping and without the text protruding out of the tab – this is because we have used images that allow plenty of room for growth. Although it looks like a lot of code, the CSS code that styles the tab matching the body ID is relatively straightforward. The images I’ve used are exact copies of the left and right images that we applied to the tabs, but they’re a different color, which produces the effect of one tab appearing to be highlighted. 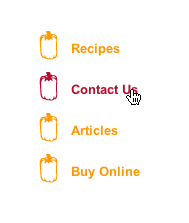 With these rules in place, specifying an ID of recipes to our body will cause the Recipes tab to be highlighted, specifying contact will cause the Contact Us tab to be highlighted, and so on. The results of this work are shown in the figure below. The technique of adding an ID to the body element can be very useful. For example, you may have various color schemes for different sections of your site to help the user identify which section they’re using. You can simply add the section name to the body element and make use of it within the style sheet, as we did in this example. How can I visually indicate which links are external to my site? When linking to other content it’s a nice touch to visually demonstrate to users when a link is to another site. We can do this using CSS without needing to add anything to our markup. Any links on our page that start with http: (which should be external as it is unnecessary to link to pages on our own site like that) will display with the world icon. This CSS3 attribute selector is widely supported in modern browsers, although it will be ignored in Internet Explorer 6. In browsers that lack support for this selector the link will just display as normal; so, it’s a nice enhancement for browsers with support but leaves the experience unchanged for those with older browsers. Let’s take a closer look at that selector: a[href ^="http:"]. The attribute that we’re selecting is the href attribute, and we want our selector to match when it finds the text http: at the beginning of the attribute value. The ^= operator means “begins with”. You could use a similar selector to match all email links, for example, a[href ^="mailto:"]. Attribute selectors are a very useful part of CSS and you can safely use them in this kind of situation where you’re just adding an enhancement to your design. How do I change the cursor type? It’s common for the cursor to change to a hand icon when the cursor’s moved over a link on any part of the page. Occasionally – perhaps to fit in with a particular interface – you might want to change the cursor to represent a different action. The figure below identifies the properties that are available in CSS 2.1, and how they appear in Internet Explorer 8. The cursor property can take a range of values. Changing the cursor display can be a useful way for web applications with friendly interfaces to provide valuable user feedback. For example, you might decide to use a question mark cursor for indicating help text. Changing the Cursor Can Cause Confusion! You should use this effect with care, and keep in mind that people are generally used to standard browser behavior. For instance, users are familiar with the cursor representing a pointing hand icon when hovered over a link. The figure above the various properties that are available in the CSS standard; these are supported by most modern browsers, including Internet Explorer 6 and above, Safari, Opera, Firefox, and Chrome. Browser support for the complete range of values varies so make sure to test. 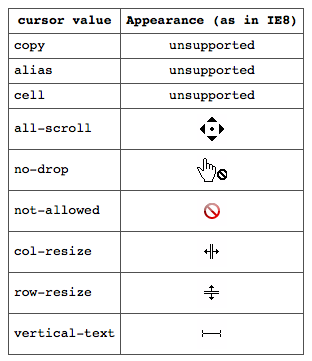 CSS3 increases the range of cursor values available, as shown below, but browser support for these values varies. They’re well supported by Safari, Firefox, and Chrome, and IE8 supports most of them; however, Opera, as of the time of writing, only supports CSS 2.1 cursor values. CSS-based navigation can provide some really interesting effects, but there are still some effects that require the use of images. Is it possible to enjoy the advantages of text-based navigation and still use images? The results can be seen in the figure below, but to enjoy the full effect I suggest you try it for yourself. Remember to click on a link or two! This solution offers a means of using images in your navigation without having to resort to preloading lots of separate files. The navigation has three states, but there’s no need to use three separate images to depict these states. Instead, we use one large image that contains the graphics for all three states, as shown below. That’s all there is to it! The effect can fall apart if the user resizes the text in the browser to a larger font, which allows the edges of the hidden images to display. You can anticipate this to some degree by leaving quite a large space between each of the three images – keep this in mind when preparing your images. This technique sometimes causes the navigation to flicker in Internet Explorer. In my tests, this only tends to be a problem when the image is larger than the ones we’ve used here; however, if your navigation items flicker, a well-documented remedy is available. How should I style a site map? A site map is a helpful page on your web site that lists all pages in the site. It can help those who are unable to find what they’re looking for through the navigation – as well as providing a quick way to see what’s available at a glance and go to it with one click. The sitemap starts life as a list for the main navigation elements with the submenus nested inside – in the same way as the list with subnavigation discussed earlier in this chapter. 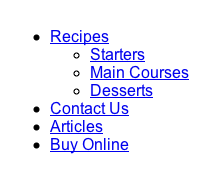 The difference with the sitemap is that all menus will display their subnavigation. If the sitemap becomes deeper (with further levels), you just continue nesting in the same way, with subpages being a sublist of their parent page. That’s all there is to styling a sitemap using CSS. Just as with site navigation you can develop all kinds of creative effects working from this simple idea. Can I create a drop-down menu using only CSS? A previous edition of this book included a CSS-only drop-down menu that I have removed in this edition. How can I use CSS to keep image-based navigation clean and accessible? While there are many benefits to using text-based navigation styled with CSS rather than images, it’s likely that sometimes you’ll need to use images to gain a particular effect or to use a certain font. When this happens, you can use all you know about CSS to ensure that the images are used in a way that is as problem-free as possible. This solution pulls together several different techniques to create a slick image-based navigation. Our navigation is now just a structured list. Next, we need to create our images for the navigation. As with the rollover navigation image above we’re going to use a composite image with several image states in it – in this case all of the navigation images and their rollover states in one image, as shown below. Using one image saves making multiple requests to the server, and the file size for our one large image will be less that it would be if we had eight images chopped up. Now that we have our markup and image we can start to style the navigation using CSS. First, we remove the default browser styling on the ul element and float our list items left to make a horizontal navigation bar. 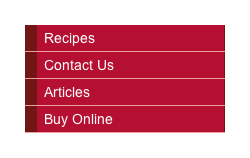 If you look at your navigation in a browser after adding the above rules you’ll see that it shows the “Recipes” item 4 times. This is because you’ve added the background image to each link in the navigation bar and the image displayed is positioned at the top left of that item, as the figure below shows. This chapter has discussed a range of different ways in which we can create navigation using structurally sound markup, as well as provided examples that can be used as starting points for your own experiments. On existing sites where a full redesign is unfeasible, introducing a CSS-based navigation system can be a good way to improve the site’s accessibility and performance without affecting its look and feel in a big way. This article is chapter 4 from the SitePoint book The CSS Anthology: 101 Essential Tips, Tricks & Hacks, 3rd Edition, by Rachel Andrew. If you’ve enjoyed it, why not download the sample PDF which includes 3 more chapters from the book.